The course will close on a continuous pace of 16:00 minutes per mile. Anyone who cannot maintain the 16:00 minute per mile pace must move to the sidewalk as the course closes to allow regular traffic through. Runner services cannot be guaranteed for participants beyond the 16:00 minute per mile pace. All registered participants will receive a technical shirt, premium gift, limited-edition poster, and virtual goodie bag. 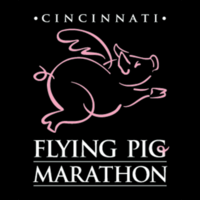 All Marathon finishers will receive a medal, mylar blanket and finish-area refreshments. Finisher’s certificates will be available to download after the race. Overall prizes will be awarded to the top three men and women, determined by gun time. Age group award times will be determined by chip time. Overall winners are not eligible for age group awards. Awards will be given to the male and female with the best time in first half of the marathon.